Sorry for slacking... meant to post about the Slabs last week. Anywhos... I had a great time at the Slabs. Felt like home. 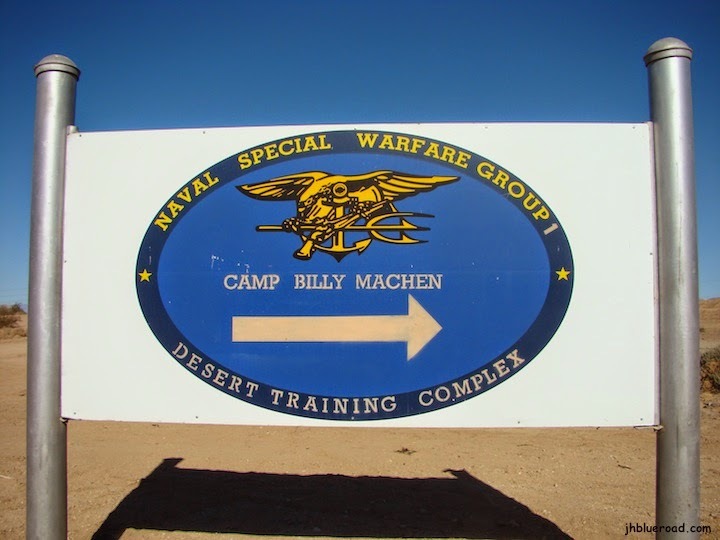 I met some really great people and enjoyed the calm, a bit secluded environment. There are so many different types of people there... people from snowbirds to outlaws, people running away from people, life and themselves. Something quite empowering happened to me while there... I realized I didn't want to disappear anymore. I wanted to be seen. 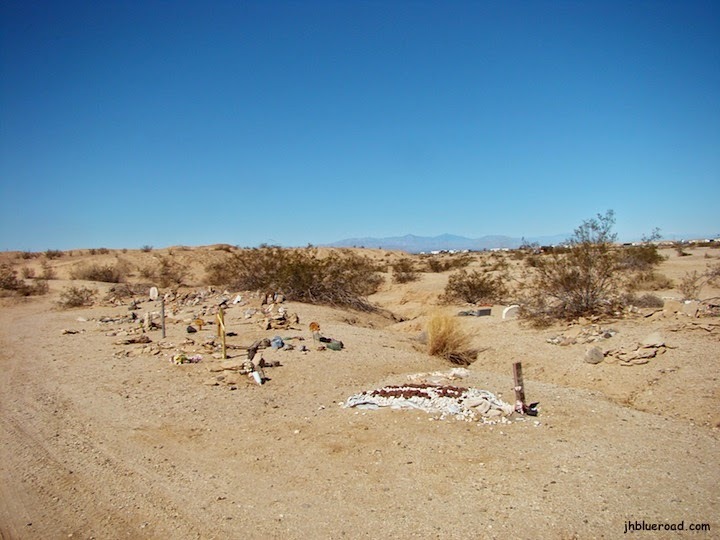 I always thought I would go to Slab City to disappear and I think a lot of people thought that was what I was going to do. I have always been invisible... I can be in a room and not be heard or seen. That is who I was. Now I can't seem to go anywhere without catching someone's attention... well, look how I live. :) There are days I like to be left alone but still put myself out there... 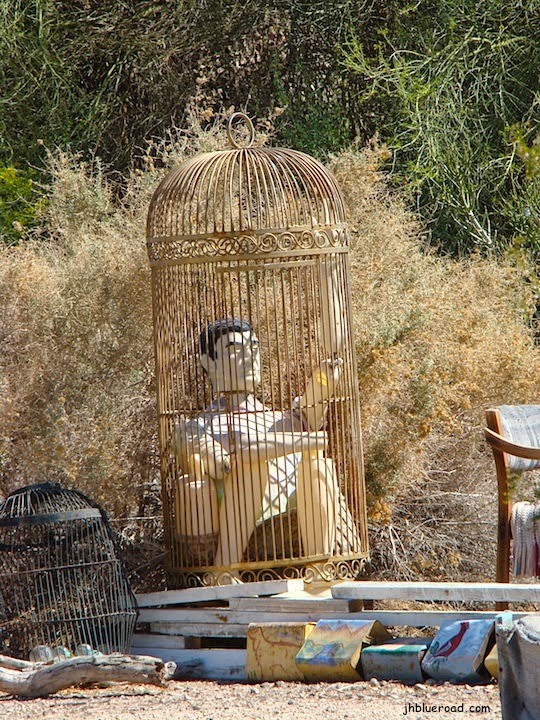 I don't have much choice unless I hid in a place like Slab City and even there I wasn't by myself. Life is truly amazing. It was so empowering to me to tell my past therapist I didn't want to disappear anymore. How cool is that!?! I was so blessed to park where I did. I met some great people who took me in as friend off the bat. I can't wait to see them next winter. Chili Bob took my neighbor and I on a tour of Slab City and surrounding area. 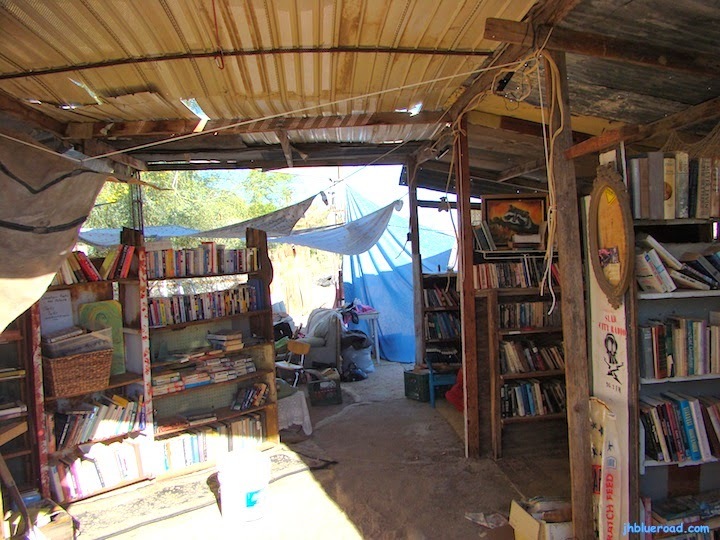 If you ever make it to Slab City ask for Chili Bob... he gives the best tours! 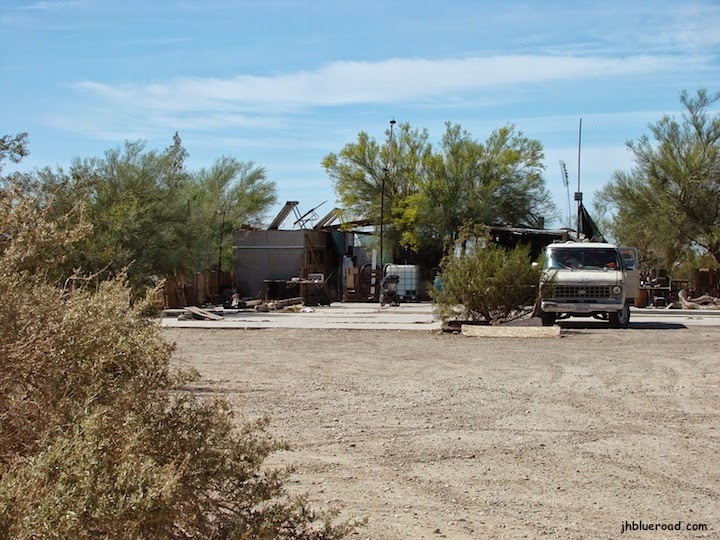 Here are some pictures from my tour and time at Slab City. I will tell you all about East Jesus in another post... went there with Chili Bob. 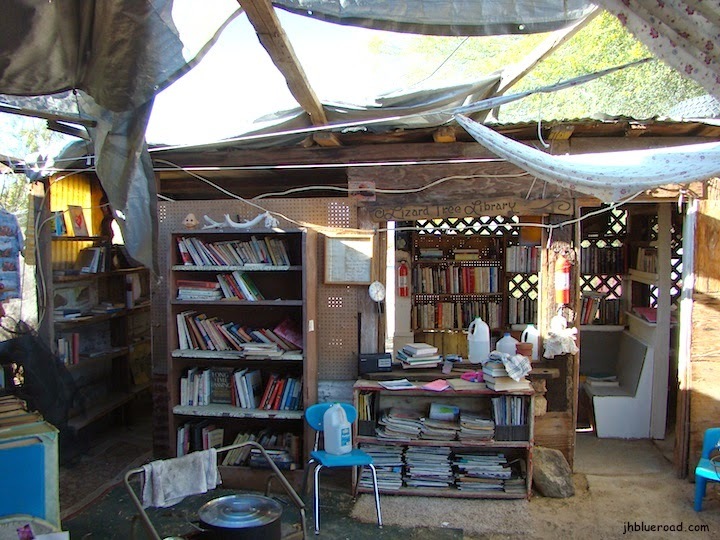 Slab City really has a lot and I love the fact they give to each other and try to use what is there to create. There is a lot of clean up needed and they are working on it. It really is an interesting place. 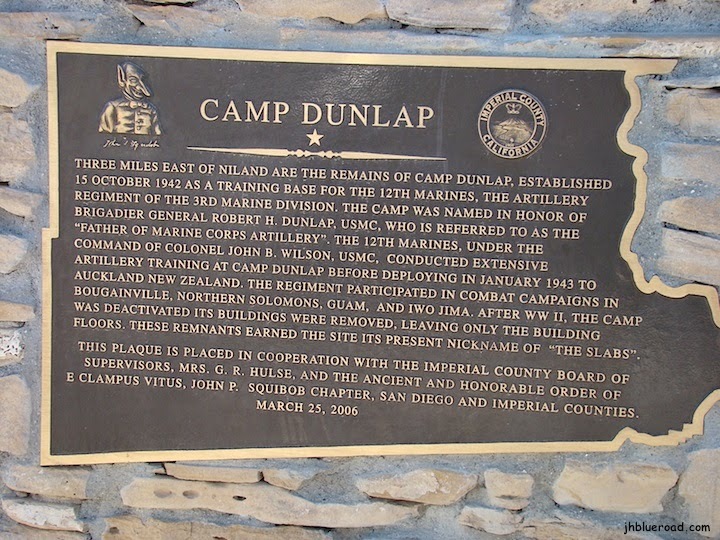 Here is a plaque in the town of Niland with a bit of information about where Slab City came from. 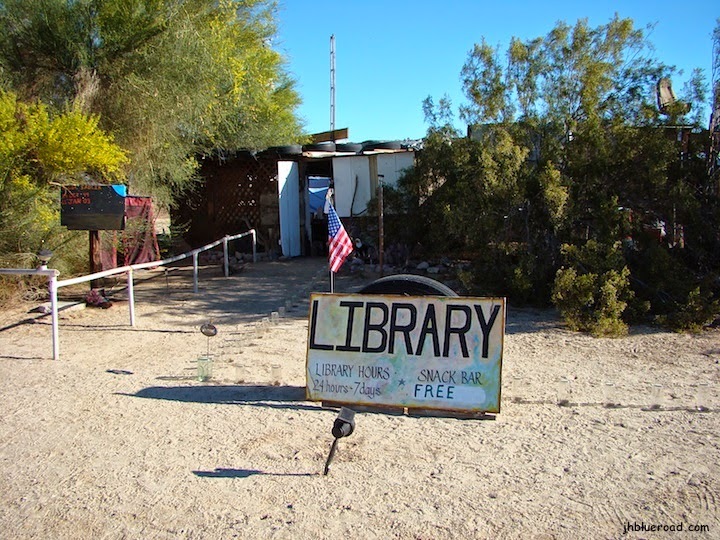 Here is the library. There are a few libraries in the Slabs. The person who created this library ashes are buried at the black sign on the first picture. You bring the books you don't want anymore and take a book you would like to read. They used what they could find... quite fabulous! They even have a golf course... they supply the clubs, balls, score cards and pencils. A pet cemetery. There is also a lady that collects the plastic bottles to help pay for the spay and neuter of the animals in the slabs... many many dogs in the Slabs. Art is everywhere... LOVE IT! 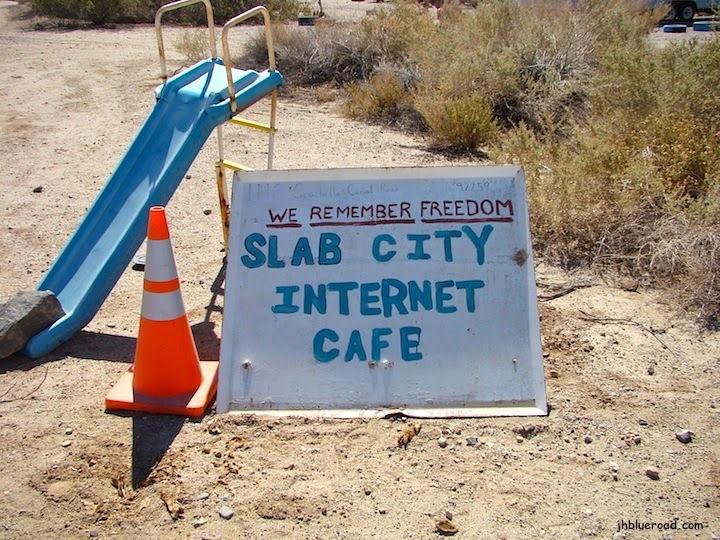 Yes, Slab City even has an internet cafe. I didn't get any closer than that... there was a naked man out there and not sure if he was taking a dump or just wandering around naked. I have seen more naked people since being on the road than in my entire life. I love the freeness of people. 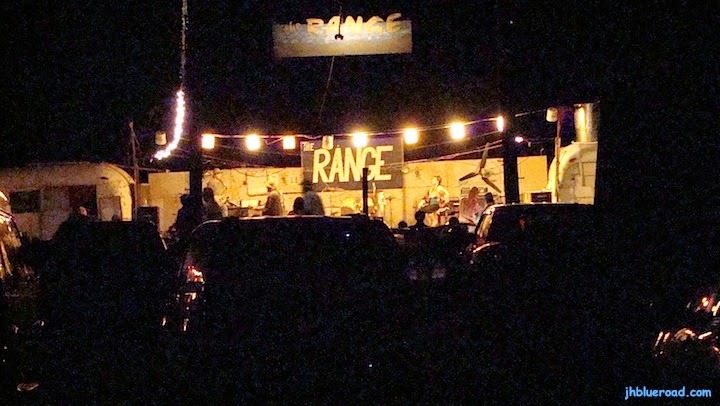 There is even music on Saturday nights at The Range. As my neighbor told me, don't sit on the couches... sit on the plastic chairs. I didn't stay long. Music wasn't all that great and too many people for my liking. They also have a hot spring people bathe in and a shower. I decided since I don't have that great of an immune system and a germophobe I would skip that part of the experience. I didn't take any pictures out of fear of dropping my camera in. 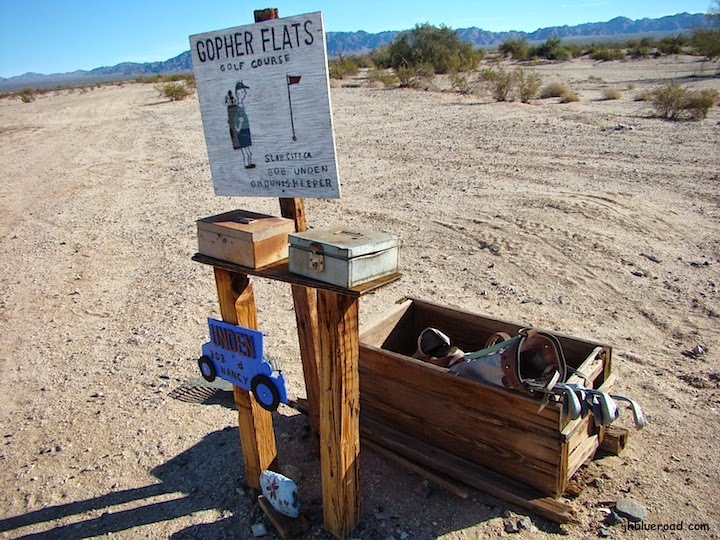 haha... but just google "slab city shower" and you will be able to see it. I spent most of March at the Slabs, first at East Jesus for a few days, then over by the radio station. I really like the place. So many people seem freaked out by the mere idea of the place, but it works for me. My friend, Lesa, is still there. If you see a woman in a blue Chevy van, it's probably her. Say "Hi" to her. By the way, you can't be invisible with a blue Harley pulling a trailer. I first noticed you at the Calipatria library. :) I think I met Lesa at the library in Calipatria.